Some marketing tips from Jagdish Sheth. When he was introduced at the recently held Georgia Interethnic coalition dinner in April, at a sold out event, the emcee commented that Dr Jagdish Sheth’s resume was almost 35 pages long! 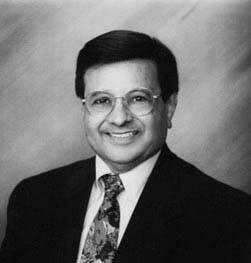 Dr. Sheth is known as an academician with formidable credentials, having been the Robert E. Brooker Professor of Marketing at the University of Southern California, the Walter H. Stellner Distinguished Professor of Marketing at the University of Illinois, and having served on the faculty of Columbia University, and at M.I.T, not to mention the numerous awards and accolades that came his way. 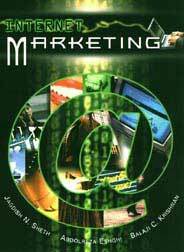 He has published more than 200 books and research papers in different areas of marketing. His book The Theory of Buyer Behavior (1969) with John A. Howard is considered a classic in the field and another Clients for Life with Andrew Sobel (2000) was a runaway best seller. Dr Sheth is currently the Charles Kellstadt Professor of marketing at Emory University’s Goizueta Business School, a consultant to several governments, large corporations and start-ups. Known for his many philanthropic activities he carries his fame lightly and makes marketing and economics seem anything but dry and crusty. Life has been exciting for the little Gujrati boy, the youngest of six children who left a life of luxury in war-ravaged Burma in 1940, back to his home town of Kutch, to one of uncertainty and hardship. In an exclusive interview with Little India, the marketing guru who says his first love is history, talks about life as a maverick who went where no Gujarati had gone before, to thoughts on where the world will turn in the new millennium. Your coming to America is a story full of adventure where every turn could have meant a different life story! Yes indeed. I moved from Burma as a child of two when the war broke. my older brother is the survivor of the Burma war and when he finally joined us he was bedridden for a year. We had little money. My mother pawned her jewellery to make ends meet and my father went into clinical depression for four years, having lost everything. After my oldest brother recovered, he started a business in Madras and we moved there, and I helped him in my free time, while my second brother a Gandhian was the intellectual one. He wrote film songs, screenplays and was the proud owner of a tape where he and Lata Mangeshkar had sung together. He was the original editor of the well-known magazine, Chitralekha and encouraged me to read novels as a child. Inspired by that I later started a unisex literary organization called Sahitya Sadan,where high school and college students contributed their literary outpourings and we had an annual day where parents would come and encourage us. My sisters put me on stage and that gave me the confidence to be a storyteller before large audiences. The tough days we faced were instrumental in character building and yet even though we had little money all throughout our father instilled in us the belief that strong ethics, and not money was to be the drying force in our life. You went to the University of Pittsburgh, and were the only foreign student there. What are the memories? Well it was a big culture shock, but people were very helpful and friendly. The interesting thing was that all the industrial towns including Pittsburgh were predominantly inhabited by immigrants, and so everyone was bound by the same common goals, concerns and needs. From learning to speed read through the five subjects covered in one semester, something I was not used to back home where we read every line and memorized it, I also became very fascinated by psychology. Until then I had not even heard of Freud. Studying psychology taught me so much. It made me realize the best strategy is to adapt from the outside but remain the same inside in term of cultural and core values. Also, because I came from a different culture I began to look at the world and question and challenge it, and realized later that if you are to create new knowledge, this is what you need to do in the first place and that is the way an academician should be. You have taught at the most elite schools in the country. Which one stands out as the best? Without a doubt the University of Illinois. It is truly a campus town, with outstanding academics and learning facilities and yet every one is equal. You have Nobel prize winners teaching you and yet they will sit with you, talk to you, eat at the cafeteria like every body else. I have noticed that great universities are always away from the metro areas worldwide. Emory is my second favorite because it s a miniature version of the University of Illinois. You have been a part of both business and academia. What have you learnt dabbling in both? Well since in my field the disciplines are contextual and our laws are not invariant like in physics, new theories and hypothesis come about all the time, and linking those ideas with industry and to see them crystallize into something concrete is very exciting. Your book The Theory of Buyer Behavior is considered a classic in its field. So what are the classic influences that determine buyer behavior. The starting point to buyers’ behavior goes back to my brother’s shop when I used to deal with customers and tried to understand the psychology behind their buying strategies. I found out that consumers actually reduced choices over time through experience and learning. It starts with needs, then goes to wants and finally to aspirations stretching to what you can really achieve, and that really has not changed to this day. Did you see the dot.com bust happening since you have been an advisor to so many start-ups? No I did not see the bust. I felt and still feel that the dot com phenomena is real. The bust happened because of easy access to capital and because of investment by people who were not VCs but speculators who invested, made money quickly and got out and created a bubble in the process. The phenomenon will come back, but the speculative ways are over with. Where do you see the field of marketing heading and has the corporate scandals changed the way people look at the busines of management and marketings? Marketing as a discipline needs to broaden out. It is no longer limited to marketing of parts. We are learning now to do marketing of services, and beyond that to learn marketing of nations. I think marketing is now becoming more socially relevant, and today even non-profit organizations understand the value of marketing. Unfortunately, marketing was looked down upon because it grew out of trade, and trade was not considered a noble occupation like academics. Marketing people are considered the Rodney Dangerfields of the academic world. I think however that once marketing is applied to non-profit organizations and nations etc. the positive aspects of marketing will become known. In the corporate world marketing is being marginalized and its domain is shrinking, because it has become so important that you cannot limit it to just the marketing people. It has now become everybody’s job, and very soon it will become a staff function like IT, finance and human resources. The corporate scandals have indeed changed corporate America. There are tougher laws and tougher penalties. My view is that unethical behavior usually comes from entrepreneurs and not from managers. Traditionally corporate managers are well trained to act ethically but unfortunately, entrepreneurs are risk takers and as such have little respect for the law. The recent spate of class action suits by shareholders against the companies have put more fear in the way they do business. As an academician and professor of marketing my colleagues and I are certainly finding a change in the next generation of managers. In the 60s a lot of the managers were from the liberal arts; in the 70s, 80s and 90s they began to shift away from liberal arts towards business and MBA became a very popular degree displacing the Masters degree in liberal arts, but now the enrollment in the business schools has been declining recently because many people feel that they do not want a degree that creates unethical values. Which one of your predictions have come true and is there one that you wish you had not made? I had predicted in the late 80s and early 90s that India will have no choice but to align with America and that has come true though I had expected the two countries to have an economic alignment first followed by a military alignment, but it happened the other way round. I had also projected in the early 90s that China will become the biggest economic and military super power by 2020 and that is coming true. In the short term, the Europeans will be distancing themselves from America and they will align with Russia and Russia will become a major force in northern Europe, which will exclude Spain and Britain. Britain any way does not belong in Europe, since the French and Germans will align. Britain may feel unwanted so there will be interesting economic battles. The one prediction that did not come true was that in the 1970s I was very hopeful that there would be a permanent solution for Palestine, but then first Anwar Sadat and then Rabin were assassinated. Now I am saying there will be a permanent distance between the Middle East and America, and the Middle East will align more and more with Europe. So where are we headed post war? I have slightly different views on that than most people. I think we will win the battle of Baghdad but we will not win the war. There will be a next phase of peace in the Middle East, orchestrated by the creation of the state of Palestine, something George Bush Sr. had strived for. The real tension will be between America and the European nations and Asia simultaneously. The French-German coalition with Russians will create more economic and political problems for America and I had predicted that NATO will cease and that Japan has given up on America and will align with China. What kind of role will the Indian American community play in the mainstream? After independence, India decided to invest in medicine and engineering. Now they feel its more lucrative to invest in management and information technology. Many Indian multinational firms will groom top managers of Indian origin, and many of these multinational firms will enter the world market. Because of the military and economic alignment, American govt. will allow more Indians to settle in America and vice versa and free labor mobility will increase the Indian population much more than the Chinese population here. Indians will definitely go into politics since more and more Indian Americans are going to law school which is a natural progression for them to enter politics later. So we will have very powerful Indian American lobby, surpassing even the Jewish lobby. So what is in the works? A book on repositioning of India in the new millennium.